Sports nutrition buy at a low price shop of traditional medicine. Nalichenie stock. Fast shipping. The purpose of bodybuilding - increasing muscle mass while decreasing the subcutaneous fat layer. • hormonal adult, does not stimulate muscle growth. Physical activity (exercise) should be tailored to the type of active muscle fibers and the degree of fitness. How would it sound paradoxical, but basic mistake many bodybuilders is the excessive consumption of calories! Amount of energy consumed (mandatory) must match the intensity of physical activity. It is basic and inviolable rule. High prevalence of caloric intake over the intensity of stress leads to an increase in body fat. To power consumption turned into muscles needed stimulus for muscle building and construction material. Muscles themselves do not grow. The impetus for growth is high-intensity exercise (about steroids separate conversation). The required amount of calories when bodybuilding is better to rely on energy costs, since this quantity varies in a very large range. First determine the baseline energy consumption (at rest, taking into account gender, age, weight, external conditions), then tsodschityvaetsya average daily energy expenditure during physical exertion. To do this, use the table of energy consumption for various sports. When classes at the gym the average cost of energy is about 600 calories per hour (for a man weighing 70 kg). Need to calculate the total load of a typical one week and divide it into seven days. So you can get close to the true understanding of their energy costs. Many young athletes tend to overestimate this value. 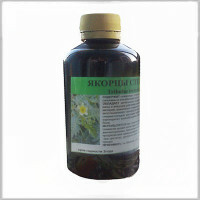 Potency Testosterone Cholesterol Normalization Means for the increase of Male power Tribulus Tincture Recommendations Properties buy store of traditional medicine. Treatment of Impotence at the home by extracts health. Diabetes Immune Enhancing Treatment Thyroid Metabolic Syndrome Mussel Hydrolysate properties recommendation treatment buy store of traditional medicine. Rehabilitation after Chemotherapy and Radiation at home.